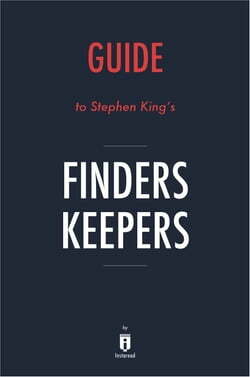 Private investigator, Bill Hodges, races to find another deranged killer in Finders Keepers, the second book in a projected trilogy by Stephen King. The first, Mr. Mercedes, won the 2015 Edgar Award for best mystery... read more novel. Finder Keepers, while a strong, stand alone book, continues the themes of the first book by examining of the nature of obsession while also offering a close look at the relationship between literature and the real world.